When high speed issuance is required, reliability and flexibility are the keys to success. 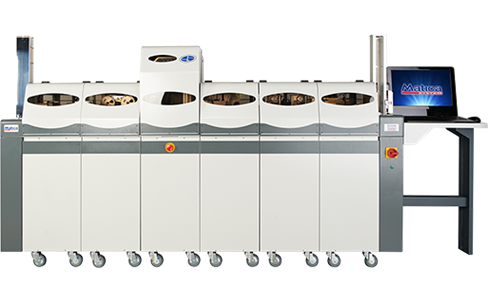 Matica's central issuance products meet and exceed these requirements, able to print, encode and emboss over 2000 cards per hour. These systems are completely modular and can be upgrated in the field by adding the module that is needed. These systems can be configured in any way that is needed to personalize cards quickly and efficiently. They can be linked to our mailing systems to provide a complete turnkey system. 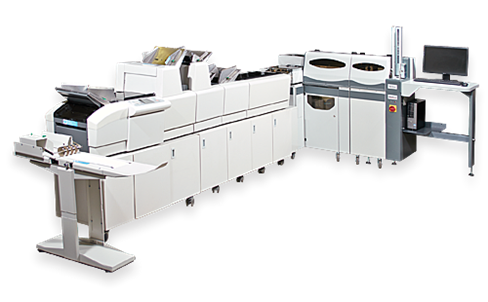 The MS7000 Card Mailing System offers affordable solutions for direct card mailing and fulﬁlment applications. Can be used either as a stand alone unit or integrated with modular System 7000.